Arizona State University researcher James Abbas is part of a multi-institutional research team that has developed a new prosthetic hand system with a fully implanted, wirelessly controlled neurostimulator that has restored "feeling" to a person with a hand amputation. 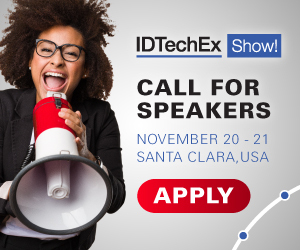 For more information see the IDTechEx report on New Robotics and Drones 2018-2038 and Neuroprosthetics 2018-2028. The research, announced at the annual meeting of the Society for Neuroscience, marks the first time a person has been fitted with a neural-enabled prosthetic hand (NEPH) system that can be used outside the laboratory in an everyday, real-world environment. Unlike commercially-available prosthetic hand systems currently on the market that only send electrical signals from the muscles to drive motors to open and close the hand, the NEPH system works in a bidirectional system that stimulates small groups of sensory fibers in the user's peripheral nerves providing him a sensation of touch. For the first time, the NEPH system user can assess whether he has touched something, "feel" the hand opening and closing and even assess how firmly he is grasping an item as nerve fibers in his residual limb are stimulated by the fine wires implanted inside the nerves. "Our system is the first one that is wearable for long-term use beyond the laboratory setting," says Abbas, who directs ASU's Center for Adaptive Neural Systems and has expertise in neural engineering techniques and medical rehabilitation technology. "All of the components are either mounted on the prosthesis or implanted in the body. The system is familiar to him as it is not that different from using and wearing a regular prosthesis, but now when he touches something he gets feeling in the phantom hand and fingers he's lost." The team's research builds on the pioneering work of Florida International University research professor Kenneth Horch, and extends the sensing technology beyond the lab. "The participant has reported enhanced confidence in performing daily tasks. He is able to interact with objects around him and determine the answers to questions surrounding sensation, such as 'Have I touched it? How hard am I squeezing it? How large and soft is it?'" said Jung, professor and chair of the Department of Biomedical Engineering at FIU. "I am so grateful to the participant for believing in our research and giving us the opportunity to work with him to test our technology. My hope is that this will enhance his life for the better." The U.S Food and Drug Administration (FDA) granted an investigational device exemption for the first-in-human trial of the NEPH system in 2016. The trial participant, who previously underwent a transradial, upper limb amputation, received the surgical implant to control the NEPH system nearly eight months ago. The surgery was performed by Dr. Aaron Berger and his team from Nicklaus Children's Hospital. After a period of laboratory-based experiments using the system and fitting procedures, he has used the system on a daily basis in his home for four months. This NEPH system is the first in a range of possibilities for medical advances using similar neural-stimulating devices. In the future, Abbas foresees applying the technology to stimulate sensation in the much larger population of individuals with lower limb amputations. Additionally, the team hopes their work can contribute to the growing field of bioelectronic medicine, which targets and stimulates neurons to treat metabolic or digestive diseases and relieve pain as an alternative to taking drugs to regulate biological processes. The team's success with implanting long-term use wireless, peripheral nerve stimulation technology may have substantial clinical implications in the future.